Edmonton, Canada’s Alberta province sits on the North Saskatchewan River is a cultural, governmental and educational center. This city is famous for year-round slate of festivals and known as a ”Canada’s Festival City”. Edmonton is home of Fort Edmonton Park, Canada’s largest living history museum and West Edmonton Mall, North America’s largest mall. One of most attractions in this beautiful city is Edmonton’s nightlife. There are several key areas of nightlife which The most popular is the Whyte Avenue. Elk Island National Park played an important part in the conservation of the American bison. This “island of conservation” is located 35 km east of Edmonton along the Yellowhead Highway, which goes through the park. Elk Island National Park is the largest enclosed national park with an area of 194 square kilometers. The Muttart Conservatory is a Botanical Garden located in the North Saskatchewan river valley, across from the downtown core in Edmonton. 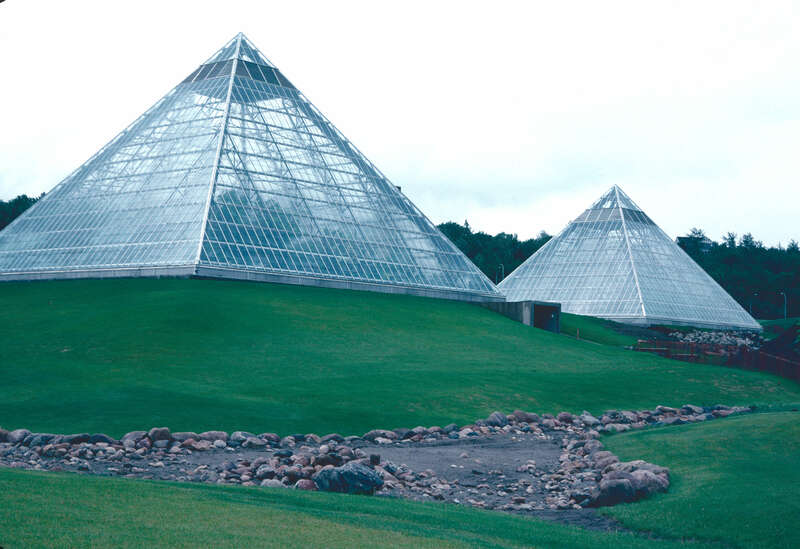 This beautiful garden is one of the most famous tourist attractions in Edmonton, consists of three city operated greenhouses, public gardens, as well as four feature pyramids for display of plant species found across three bio-mes, with the fourth pyramid hosting as a seasonal display. A fifth minor skylight pyramid lights up the central foyer. Edmonton Zoo was opened in the heart of Edmonton in 1959. The zoo is home of over 350 exotic and native animals and houses over 100 different species.